In 2015 Lincoln hosted a magnificent exhibition to co-incide with the Magna Carta 800th celebrations which took place across the city. Lincolnshire’s Great Exhibition displayed around 150 loan exhibits across four venues in the city. Visitors had the opportunity to see the exhibition located across the Usher Gallery, The Collection, the Medieval and Wren Libraries in Lincoln Cathedral, and at Lincoln Castle. The Trust was delighted to have two particularly stunning loans on display. 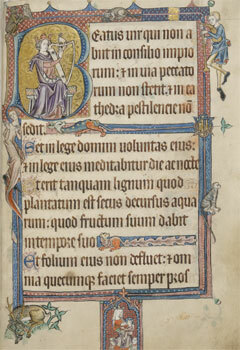 In partnership with the British Library, the exhibition displayed the Luttrell Psalter, a superb example of a fourteenth century English illuminated manuscript, and the Victoria and Albert Museum loaned the Heneage Jewel, given by Queen Elizabeth I to Sir Thomas Heneage. This unique exhibition contained loan exhibits ranging from paintings, watercolours and etchings, to maps, illuminated manuscripts, and letters, as well as including racing trophies, seals, ceremonial artefacts and carvings. All the items had a connection with Lincolnshire in some way – through their subject matter such as famous people from the county, buildings or places, or the artists who created the works; the locations of collections, or through family ties. The earliest items dated from the 1090s, and through the centuries to the 1990s. The National Archives is the guardian of some of our most iconic national documents, including the 1225 Magna Carta. One of our priorities is to make our Collection as accessible as possible and we are delighted to loan the Magna Carta to the exhibition in Lincoln along with the 1804 Flinders map of Australia, the seal of Archbishop Langton, and the 15th century Pinchbeck Fen map. The Luttrell Psalter is a visually stunning 14th century illuminated book, commissioned by Sir Geoffrey Luttrell of Irnham, near Stamford. The images in the margins depict detailed scenes from daily life in a medieval village, alongside mythical creatures. 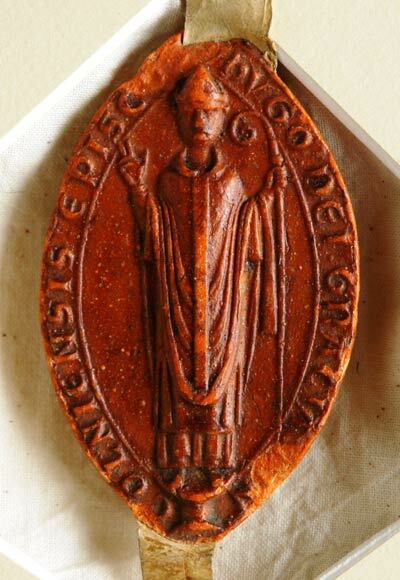 The exhibition included a focus on great Lincolnshire figures from Gilbert of Sempringham, who founded the only English monastic order in Lincolnshire in the 12th century, to Margaret Thatcher, the first, and to date, the only woman Prime Minister in Britain. 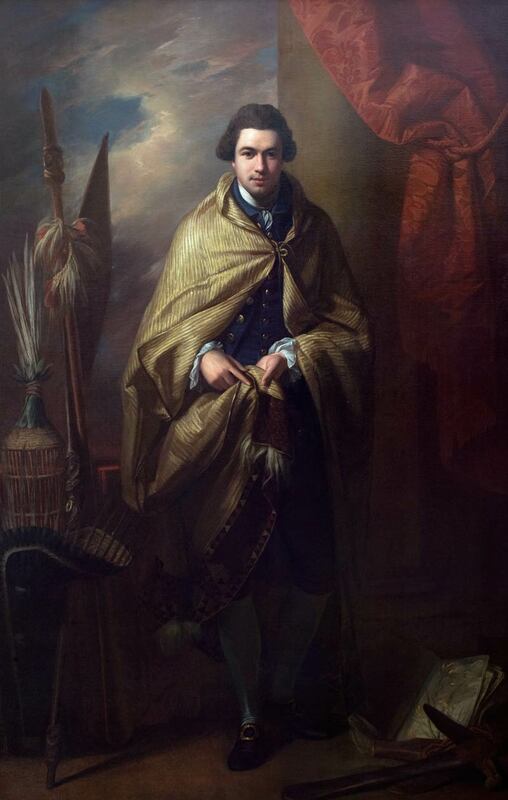 Other famous Lincolnshire figures such as Sir Isaac Newton, George Boole, John Wesley and Alfred, Lord Tennyson were represented, along with Lincolnshire explorers, Sir Joseph Banks, George Bass and Mathew Flinders. The Trust worked with the British Library, the Victoria and Albert Museum, the National Portrait Gallery, the Royal Collection and many other important public and private collections to ensure the loans which made this a magnificent exhibition. One of the most intriguing objects in the exhibition, the Louth Panorama, is a view of the entire town painted from the spire of St James’s Church in the mid nineteenth century by an amateur artist, William Brown. The King’s Champion Saddle, about 1760, probably used by John Dymoke at the Coronation of George III , 1760. 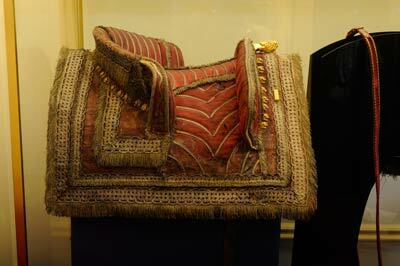 Leather, covered with red silk velvet, ornamented with silver-gilt lace, braid and fringe. Private collection. 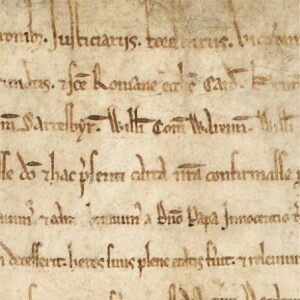 Lincoln’s 1215 Magna Carta. Loaned by Lincoln Cathedral. The Historic Lincoln Trust gratefully acknowledges the support and invaluable contribution of all the lenders, the honorary curators – Dr Alan Borg, Jeff James and Oliver Morley, members of the exhibition advisory panel, sponsors, private donors, and staff from the Cathedral and Lincolnshire County Council in the realisation of this exhibition.